Looking for a large garage or warehouse to move or store equipment and materials for sole proprietorship? Look no further!! This property is perfect for many types of businesses including car repair, home or lawn maintenance, commercial cleaning, flooring, contracting and so much more! 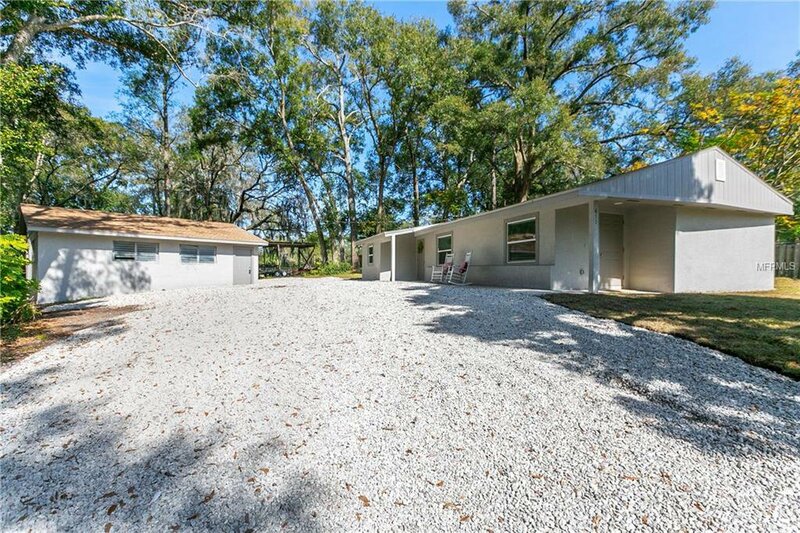 On the corner of Tilden in the heart of Apopka this property has been transformed and renovated from top to bottom! ROOF 2019 , A/C 2019, PLUMBING CPVC 2019, DOUBLE PANE WINDOWS 2019, ELECTRICAL WIRING & OUTLETS 2019, TANK-LESS WATER HEATER 2019. The kitchen and bathrooms are BEAUTIFULLY done with NEW CABINETS, NEW WOOD PLANK TILE, NEW CARPET, NEW WHIRLPOOL STAINLESS STEEL APPLIANCES. Don't wait, call for your showing today! Commencing at the SW corner of said lot 3, thence NW 90`00`00`E, along the south property line of said lot 3, a distance of 74.22 feet from the point of beginning. Thence continue N 90`00`00`E, along said south property line, a distance of 110.03 feet. Thence N 00`26`03 W a distance of 134.82 feet; Thence N.89`54`58`W. A distance of 92.52 feet; Thence S.06`57`49`W` A distance of 136.05 feet to the point of beginning. A parcel contains 13,660 square feet more or less. Listing courtesy of WATSON REALTY CORP. Selling Office: REALTY EXECUTIVES CENTRAL FL.